Prime Time Prayers for Teachers and Catechists is a collection of traditional and contemporary prayers, meditations, and reflections for use in Catholic schools and Religious Education programs. 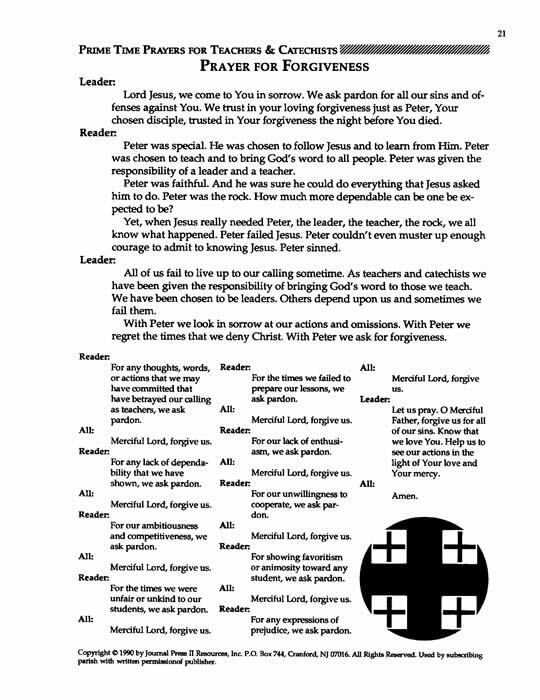 Each prayer is a single sheet black-line master, easily added to agenda sheets, programs, or other notes distributed before meetings, retreats, workshops, in-service days, and at any gathering of teachers and catechists. The Catechist Pin (shown at top right) and other pin information is available by clicking. 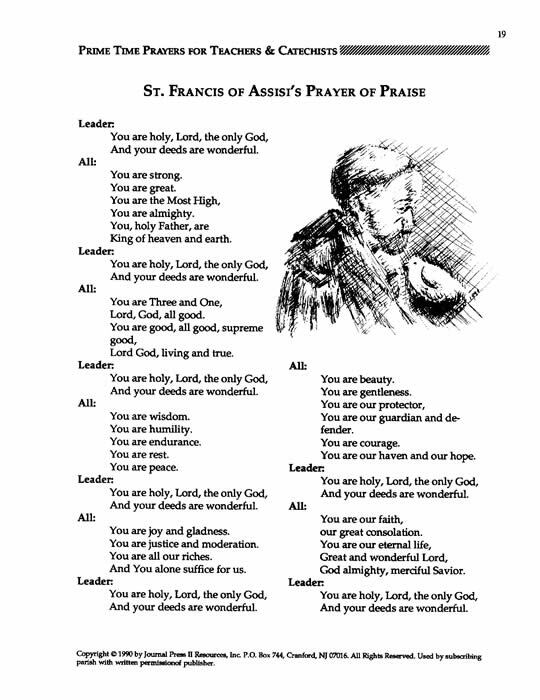 Your purchase (below) will enable the placement of the PrimeTime Prayers for Teachers and Catechists MasterSet PDF on your computer. You will receive an e-mail to enable your immediate download for the set.